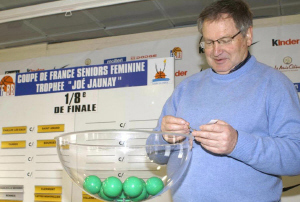 The draw for the second round (eighth-final) of the Coupe de France was performed on the 13 February by the president of the French Federation, Yann Mainini (in picture). Out of the 16 teams still in the competition only two come outside the Ligue Féminine de Basketball (LFB). They are Rennes Avenir and FCB Ardennes ASPTT (Charlevilles-Mézières) from Nationale Féminine 1 (NF1). The winner of this competition automatically qualify for next season’s EuroLeague Women provided they are also playing in the LFB next season. Challes-les-Eaux - Saint Amand: Both sides meet this weekend in round 17. This match will be streamed live by LFB TV and will be available on demand as from 17 February. Challes are difficult to beat on their home court while Saint Amand have a good record away from home. The battle between Jessica Davenport for Challes and Tiffany Stansbury for Saint Amand will be something to look forward to. Tarbes - Bourges Basket: When the Coupe de France returned to its national format in 1996, Tarbes won the competition and went on to defend the title for the following two years. 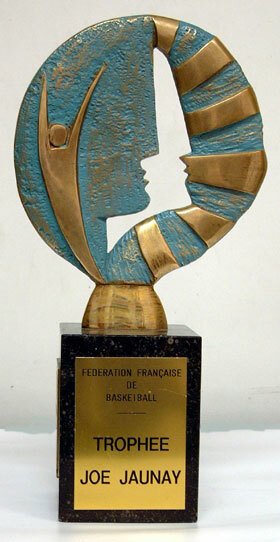 Bourges Basket had to wait until 2005 to add their name to the trophy which they successfully defended in 2006. Tarbes have already demonstrated in the FIBA Europe EuroCup Women this season that they can put aside their difficulties in the League. Tarbes have home advantage and with a European place at stake they will not allow this opportunity to pass without a fight. 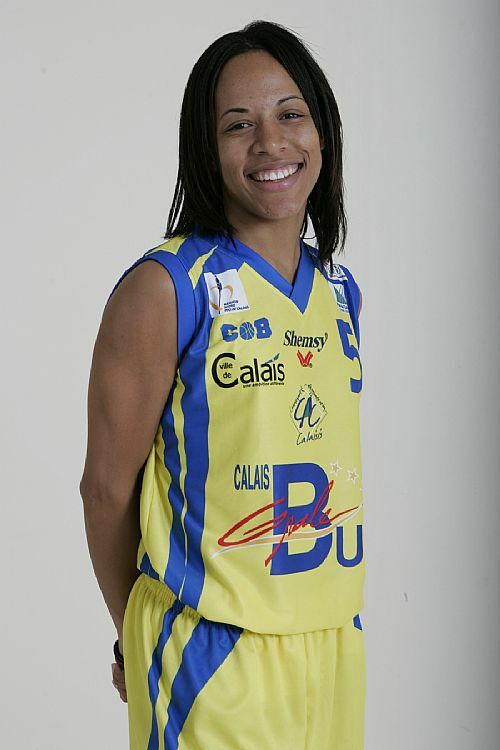 For Céline Dumerc and Florence Lepron from Bourges Basket this will be a return to the club that they started their professional careers after leaving the CFBB. Bourges have not been beaten in a match since the start of 2008 and have a busy schedule. Due to their participation in the EuroLeague Women they will want to move this game forward. But this should not stop them in their quest for a domestic grand slam. There are so many match-ups in this game. Yet the battle between Gisela Vega and Isabelle Yacoubou for Tarbes against Sonja Kireta and Emméline Ndongue for Bourges is likely to be the highlight of the match. Calais - Mourenx: The Coupe de France will be a welcome distraction for both sides from their domestic problems. The two teams have strong centres but the match-up between Allyson Hardy (left) for Calais and Ana Lelas for Mourenx will be the most interesting one. Calais and Mourenx have excellent three-point shooters and in a match of this nature they are likely to excel. Arras - Villeneuve d’Ascq: As a derby alone this match has all the ingredients of being explosive. Arras were semi-finalists last season. Despite their low standing in the league they are not an easy team to play. Villeneuve‘s EuroLeague première may have cost them ground in the league so this competition may be their option for EuroLeague participation next season. Carla Thomas for Arras and Géraldine Robert for Villeneuve are two players that are likely to ignite this tie. Kathy Wambe and Bénédicte Fombonne are the only members from the last time Villeneuve played in the final in 2003. Charleville-Mézières (NF1) - Mondeville: Charleville’s roster contains mainly players that have graced the LFB. So they will not be in awe of their opponents. Mondeville’s last appearance in the final was in 2005. Not one of the current squad was a member of that team. Ingrid Tanqueray was a member of the Mondeville U18 squad that won the youth cup in that year. Her match-up against Amel Boudarra (in picture) may not be the big event of the match but for fans of youth basketball the most interesting one. Rennes (NF1) - Reims: Rennes have had good runs in recent years at senior as well as junior levels in cup competitions.. They have home advantage and the team of Frédérique Prud'homme are not bad to watch. They have Belgium international Dana Boonen and the LFB experience of Céline Fromholz to guide them through. They also have a former Reims player, France U20/U21 international Yvette Assilamehou. Reims are still learning the art of playing on the road and this match will their third long road trip in as many weeks. They will need to be at their best in what is likely to be a tough match. Clermont-Ferrand - Lattes Montpellier: When the two sides played earlier in the season Clermont-Ferrand won (89-75). Since then Montpellier has metamorphosed and have become one of the strongest teams in the league. Clermont have had a roller coaster ride of recent. But playing at home and Montpellier’s weakness in money-time leaves the tie wide open. The key match-up will be between Claudia Das Neves for Clermont and Gunta Basko for Montpellier. Review first Round (sixteenth-final)results results of the Coupe de France.